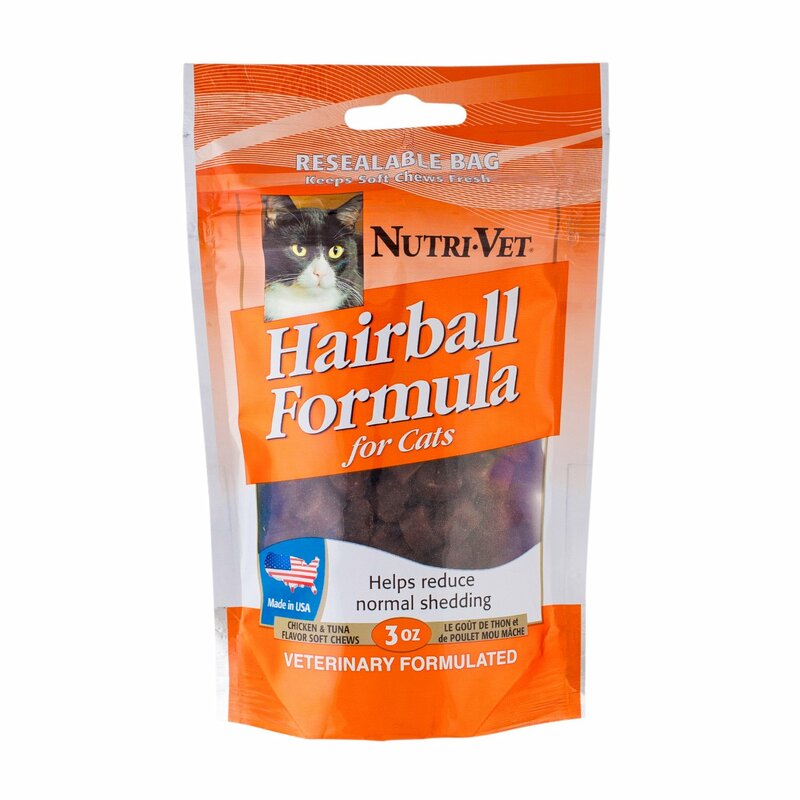 Cat hairball is a common thing occasion in felines as they try to keep themselves clean. 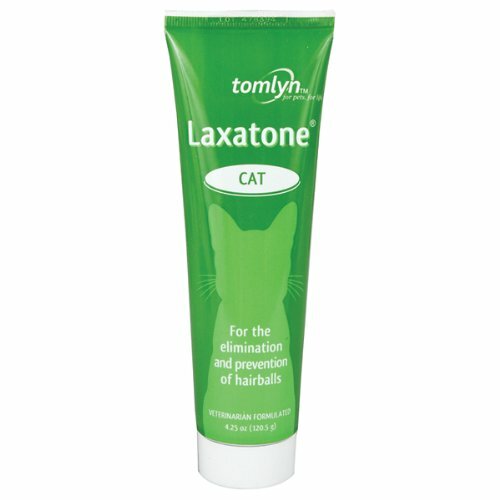 Hygiene comes naturally for a cat and this proves that being clean is essential for your pet’s hygiene. Hence, your cat will produces hairball as it keeps licking its far. You can note signs like vomiting, gaging, and hacking with are all periodic. 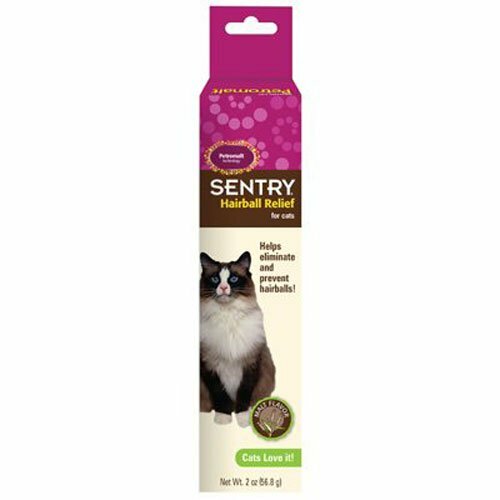 You can keep your cat from producing hairballs by using the most popular car hairball remedy pastes and gels that we at PetMedsToday.com have to offer at the best selling price in the market. 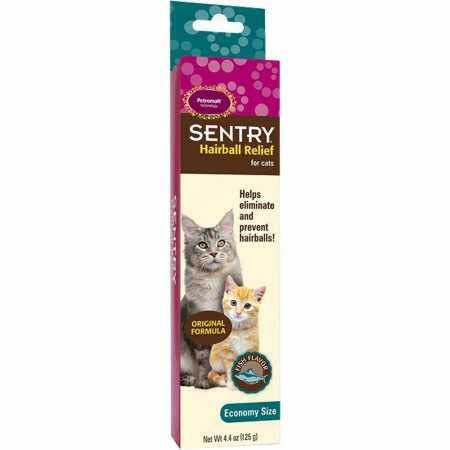 Sentry Natural Defense Hairball Remedy helps eliminate hairballs in cats. 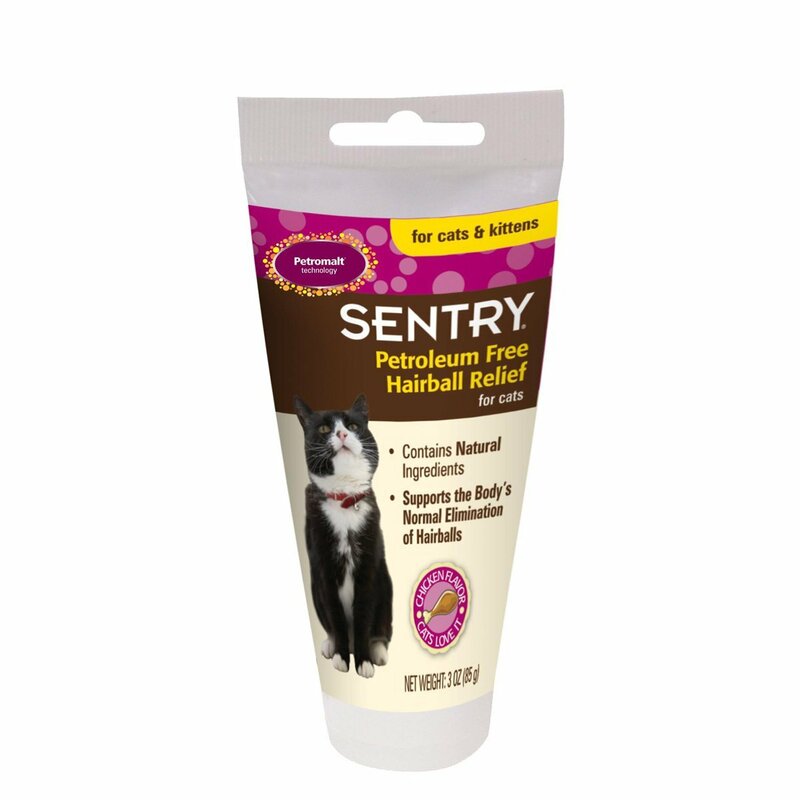 Formulated with natural ingredients, it contains a unique blend of beeswax and lechitin to lubricate hairballs. 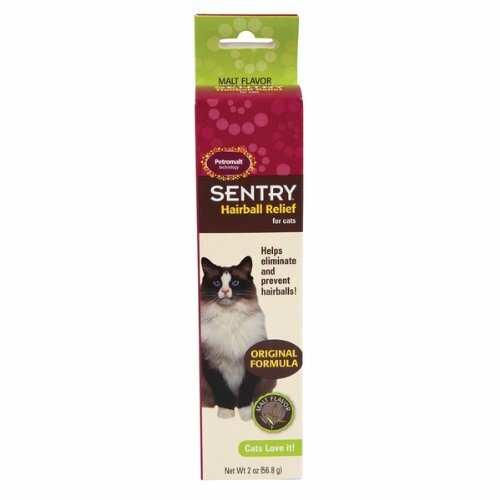 Chicken flavored for the finicky cat. 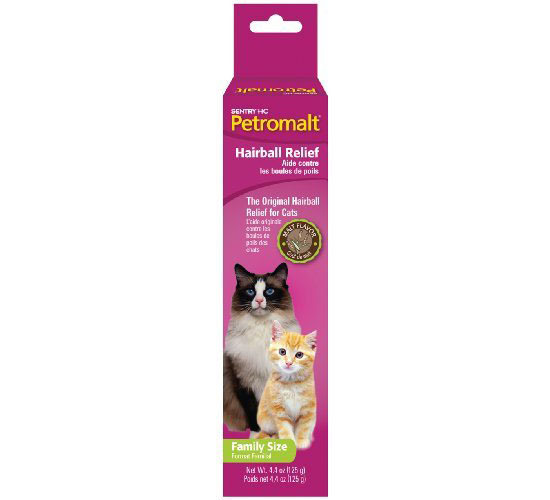 Petromalt is for use in cats and kittens over 4 weeks of age to help eliminate and prevent hairballs. 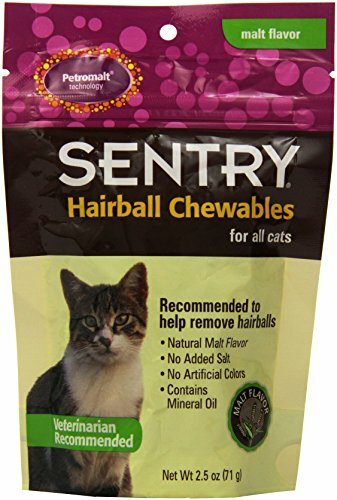 Directions: To eliminate hairballs, give orally a strip of 1.25 cm (1/2 inch) per 2 kg (4.4 lbs) of body weight once daily for 3 to 4 days. 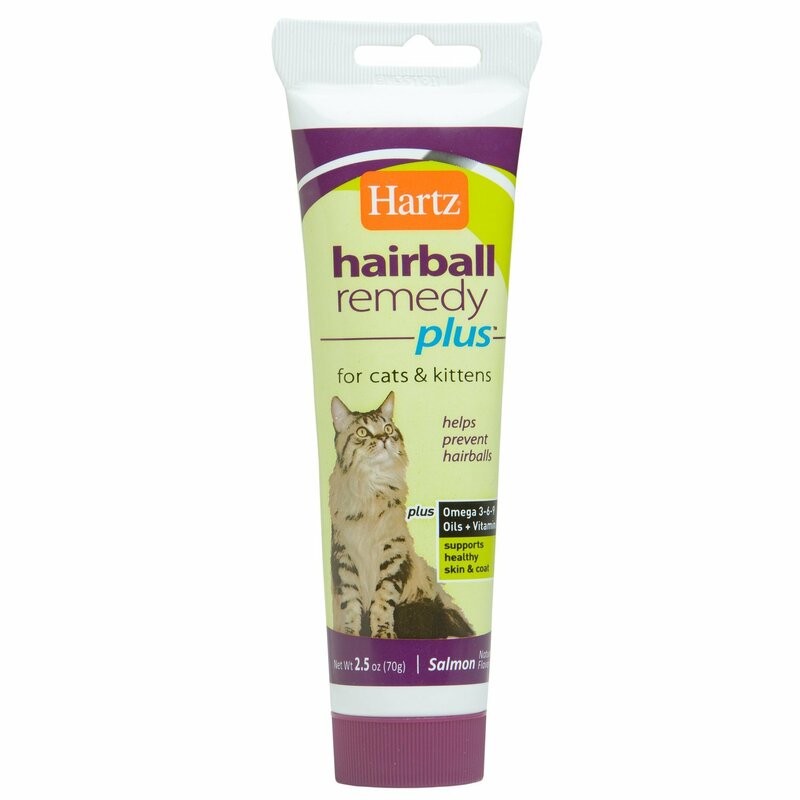 To prevent hairballs, give orally a strip of 1.25 cm (1/2 inch) per 2 kg (4.4 lbs) of body weight 1 to 2 times per week. Brush coat frequently. 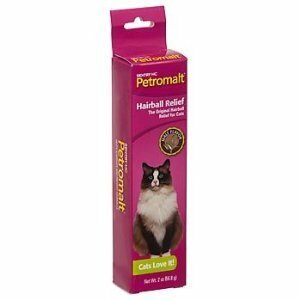 St. Jon Laboratories Petromalt Cardback Hairball Remedy 50 gr. is an intestinal lubricant with an irresistible malt flavor. 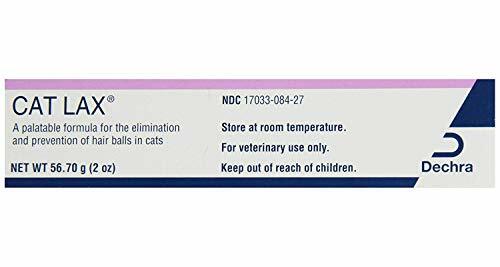 Aids in the elimination of swallowed hair and the prevention of hairballs. 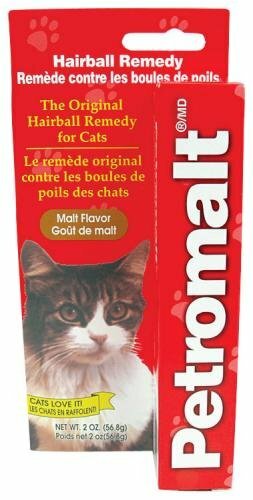 Petromalt Cardback Helps relieve constipation, dry cough and occasional vomiting associated with certain gastrointestinal blockages. 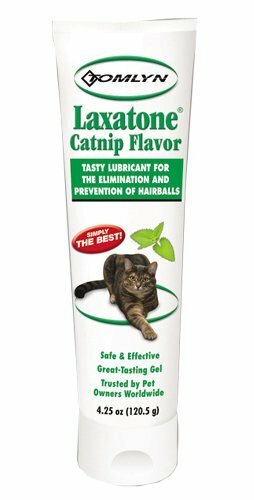 When swallowed, loose hair can accumulate in a cat's gastrointestinal tract. This nearly indigestible material becomes a compact 'hairball,' which can interfere with normal digestion and elimination. 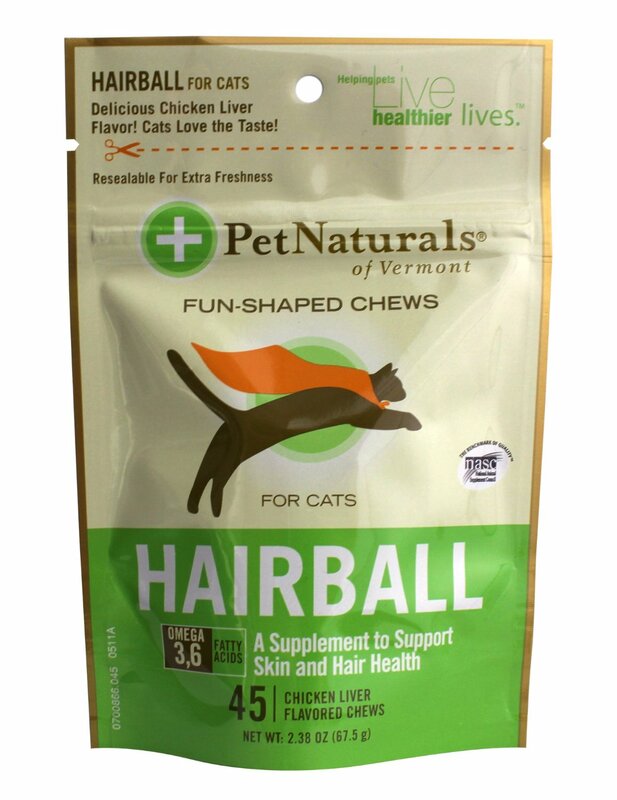 Symptoms of hairballs include constipation, straining during bowel movements, dry cough, and vomiting after meals. 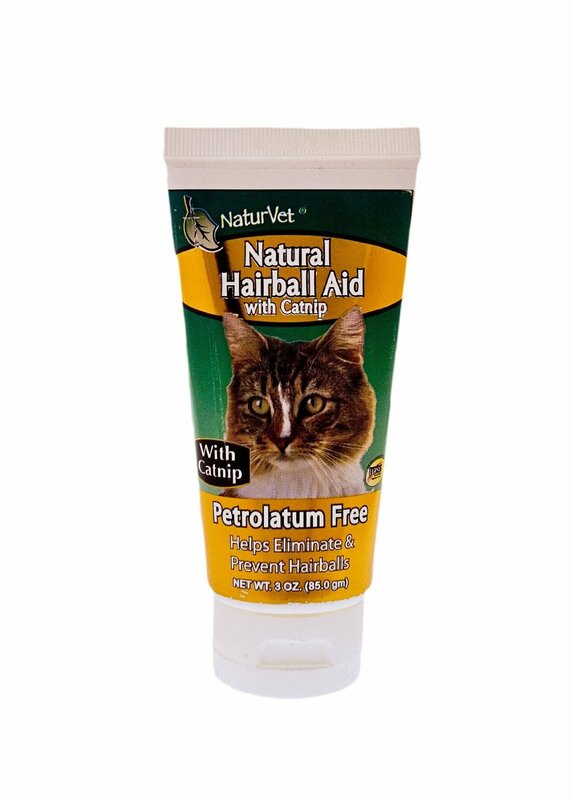 Feed your cat a one-inch ribbon of Petromalt daily until symptoms disappear, then once or twice a week to prevent hairballs. 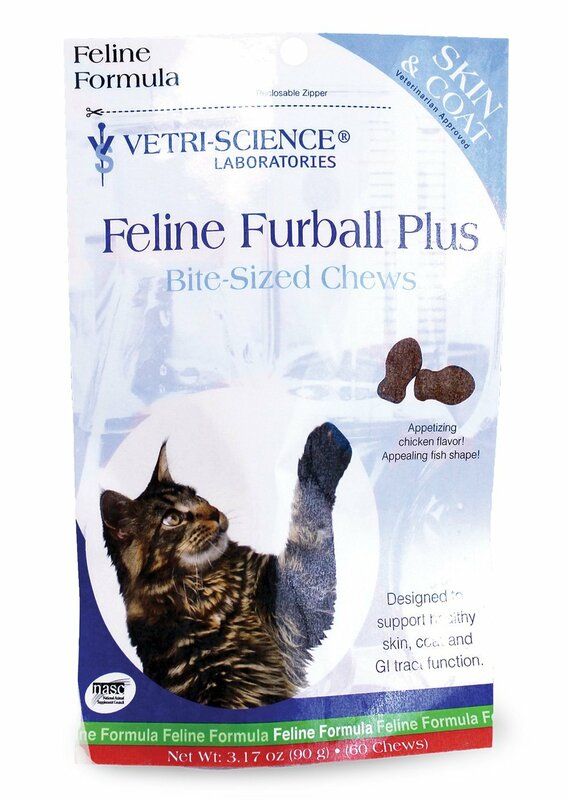 Give between meals, either from your finger or by placing on cat's front paw where it can be licked off readily. 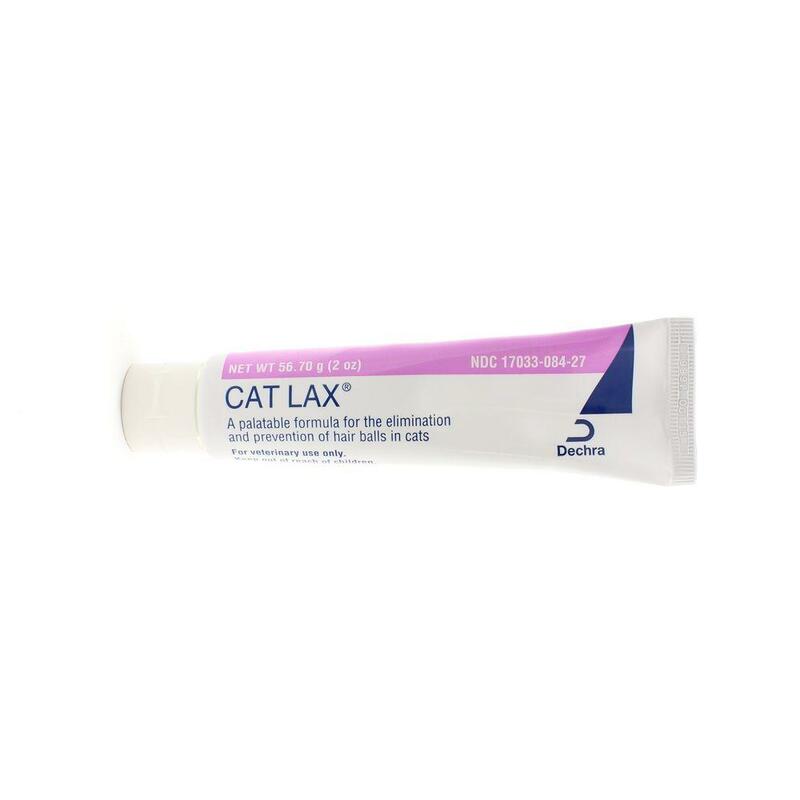 Cat Lax Cat Lax, 2 oz. 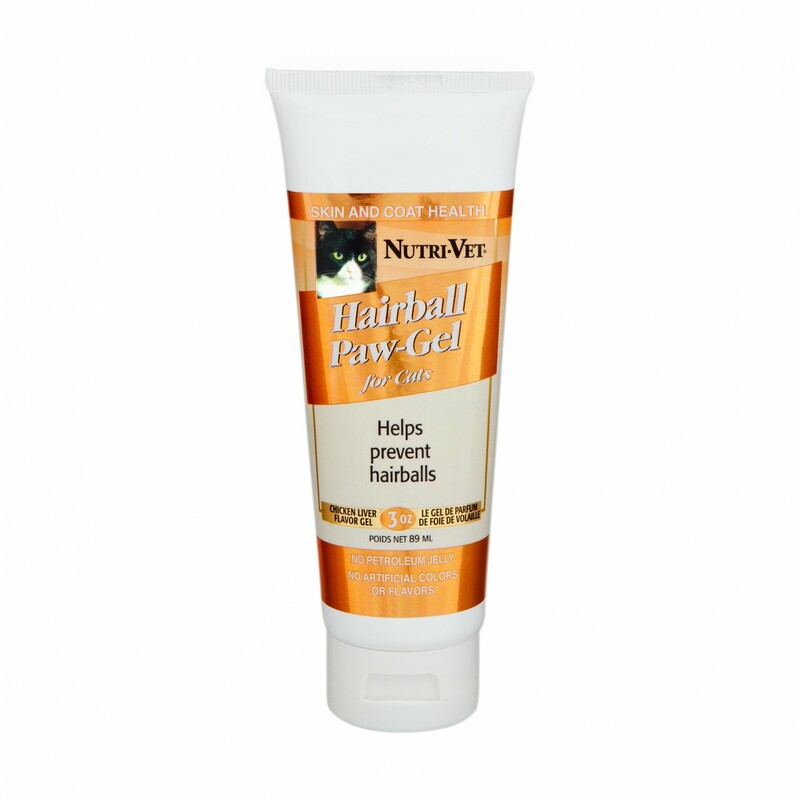 NutriVet Hairball Paw Gel for cats contains natural oils and lubricants that helps reduce hairball formation in cats of all ages. 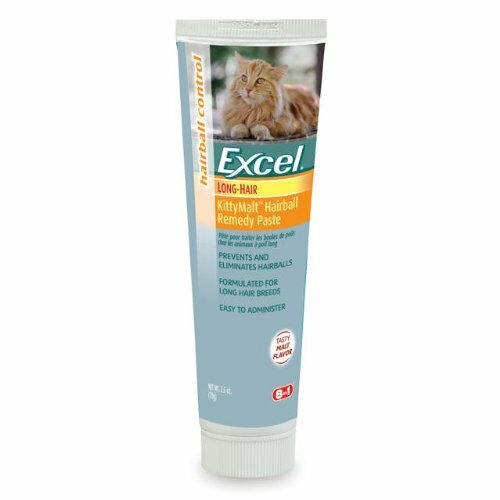 Tasty and easy to give, Paw Gel is a convenient way to reward your cat and help stay active and vital.